Experience the magic and romance of remote Mexican beach Playa Blanca and the charm of authentic rural fishing village Barra de Potosi at Hacienda la Rusa, # 1 accommodation in the area 3 years in a row. Let it be your home in Mexico! Boutique country Inn, Hacienda La Rusa, in Barra de Potosi with small tropical houses for rent is your home away from home! 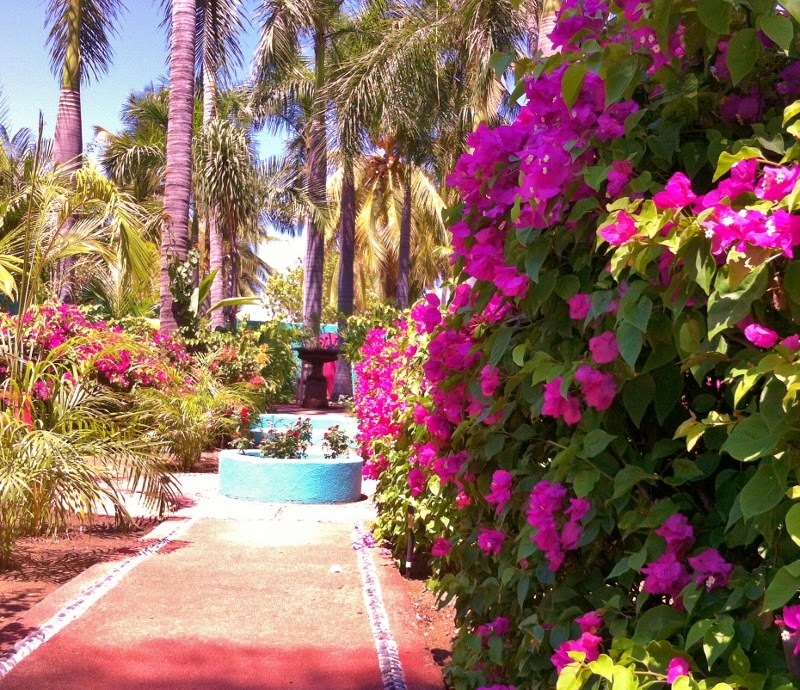 Settled among lush tropical gardens it is a paradise found, your home in a sunny warm beautiful Guerrero, Mexico. All bookings require a 1 night deposit to secure your reservation. Balance is due 1 week prior to your arrival. Rates include breakfast, housekeeping, taxes. No cancellation penalties, if you re-schedule your stay. If the booking is cancelled less than 30 days before arrival - then a charge equal to the first night of the stay will be made. If the booking is cancelled 30 or more days before arrival - then a charge equal to $20 per room booked will be made. In the event of a no show the full cost of the booking is charged. EARLY DEPARTURE – There are NO REFUNDS for EARLY DEPARTURES. Guest should obtain a “Cancel for Any Reason” travel insurance policy through a third party.